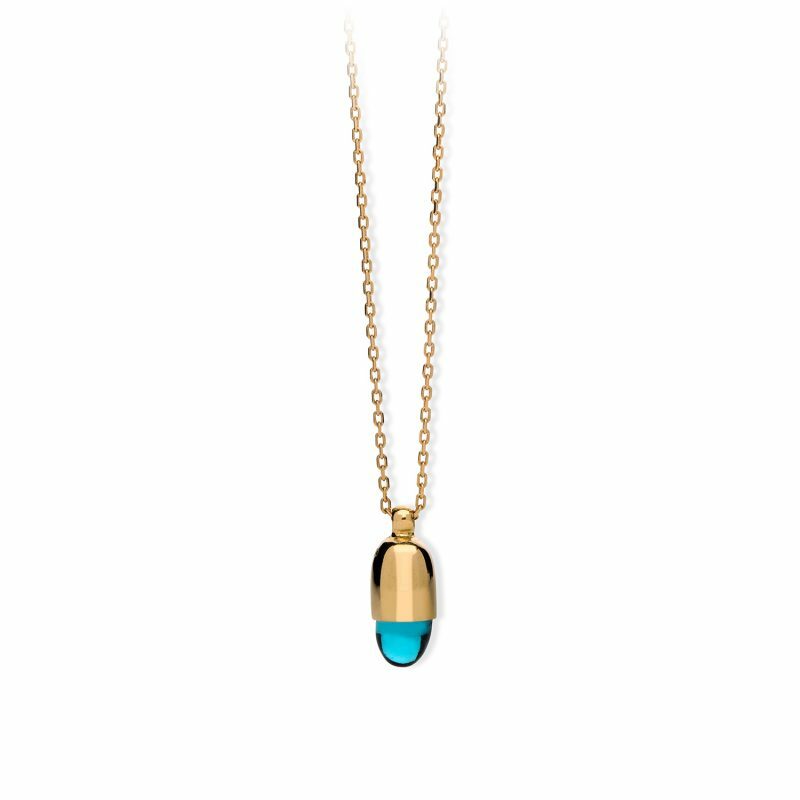 The Skopelos Mini Necklace – London Blue with 18 ct solid yellow gold pendant, has a 5x5mm London Blue quartz stone. 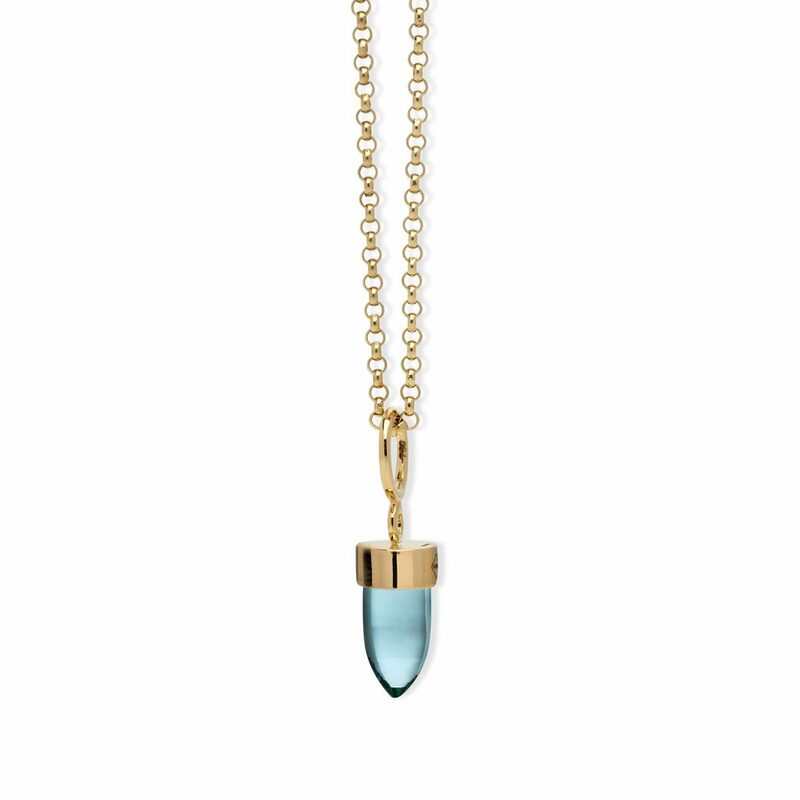 Part of a collection of luxury fine jewellery for everyday, from London based fine jewellery brand Maviada. Maviada (meaning ‘blue island’) is inspired by the casual chic, relaxed lifestyle of the Mediterranean. Designed to represent the soothing colours of the sea and the silver green hues of the olive trees, Maviada jewellery is for everyday luxury.